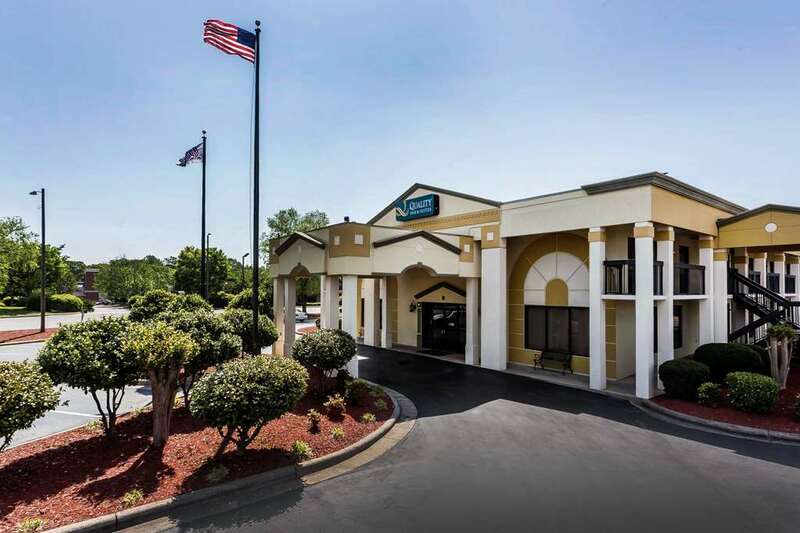 Get more for your money at the Quality Inn and Suites Mooresville-Lake Norman hotel in Mooresville, NC. Conveniently located right off Interstate 77, We are close to Lake Norman, JR Motorsports, Memory Lane Motorsports, Penske Racing and the NASCAR Technical Institute. You can count on amenities like free WiFi, free breakfast, a seasonal outdoor pool and guest laundry facilities. Guest rooms come equipped with refrigerators, microwaves, TVs, coffee makers and more. In addition, you can earn rewards through our Choice Privileges program the more you stay.